A recent sighting of southern resident killer whales near Monterey, Calif., has researchers taking note — as the pod usually calls the waters off B.C. and Washington state home. 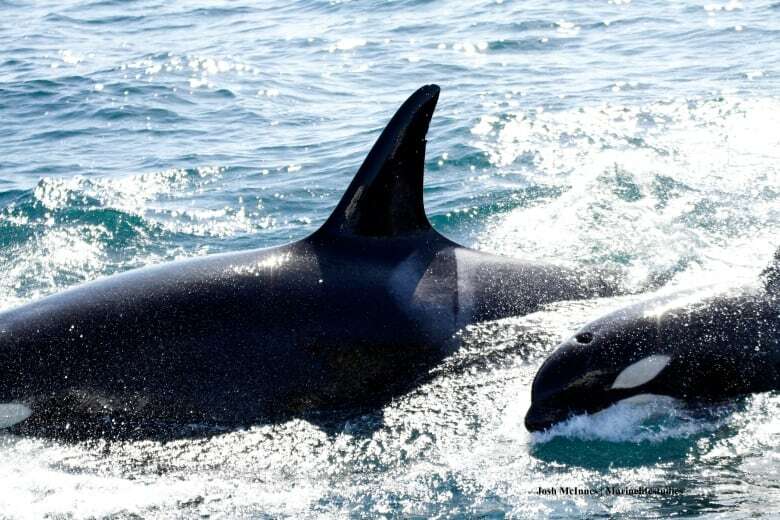 Josh McInnes, research coordinator at Marine Life Studies in Monterey, was one of the scientists who spotted the pod of killer whales that had ventured more than 1,000 kilometres south. McInnes was on a project studying transient whales that hunt grey whales migrating north. “I saw a bunch of spouts in the distance and tall dorsal fins,” he told On The Island host Gregor Craigie. “As they got closer, I took a photograph and looked right away and I recognized L pod, which is … one of the local southern resident pods that frequents the waters off Washington and British Columbia. The findings shocked McInnes and his colleagues, who had never seen the resident whales so far south. So why were the whales — around 25 of them — so far from home? McInnes says salmon are starting to come to the ocean in that part of the U.S. and the whales, which eat the salmon, might be looking for food. “It’s a really positive thing to see, that they’re possibly in a different region where salmon might be better off, than, say, up in the Pacific Northwest, where we know chinook is critically endangered,” he suggested. It’s not known if travelling south for food could become a trend for the southern residents. Whale research, he said, only began in the 1970s and historical data is poor. More studies are required, but McInnes says it is possible the whales are becoming more willing to travel to find food. The whales he observed on their California sojourn, at least, appeared to be in good health.